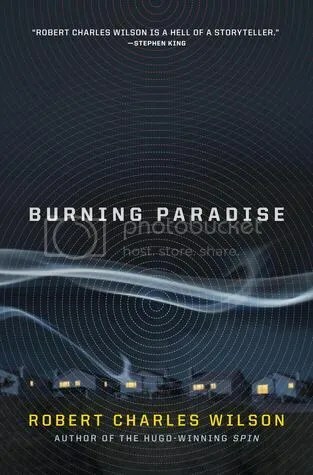 From the Hugo award winner of Spin and author of Julian Comstock comes his thrilling new novel, Burning Paradise. The year is 2015 and Cassie Klyne lives in a United States that is not ours, in a time different from our own. The world has been at peace since the Great Armistice of 1918, there was no World War II or Great Depression, and it seems like Earth is a pretty decent place. But Cassie is the daughter of parents who were part of a special group that has been studying the facts and asking questions for decades and now knows the truth: that an alien entity has encompassed the earth in the form of a parasitic layer and is able to control and manipulate radio communication. In this way it has controlled events in the world since the dawn of radio communication. And then it launched an attack against this special group, targeting many of the people – like Cassie’s parents – and killing them with its special creations that appear to be human, but are stronger and bleed a smelly green goo. Now Cassie is on the run once again from these alien beings, looking to find out what they really are, but also to see what can be done to stop this alien entity that now controls the planet. Joining with other members of the group, the mission will take them deep into South America with a special device intended to stop the alien intruder and free humanity once again. 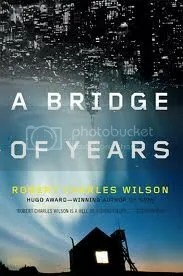 Wilson has created a compelling alternate world with details and characters that make it feel like our own. Blending some interesting science with some great storytelling, Burning Paradise is a great example of good science fiction. Originally written on November 29, 2013 ©Alex C. Telander. 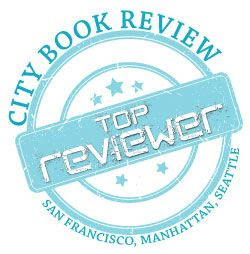 To purchase a copy of Burning Paradise from Amazon, and help support BookBanter, click HERE.